This is one of the first things your readers will see and is likely to be in the subject line of your email so make it fun and intriguing! Just naming your newsletter ‘Newsletter’ isn’t going to interest anyone or persuade people to read on or even open it – be inventive. 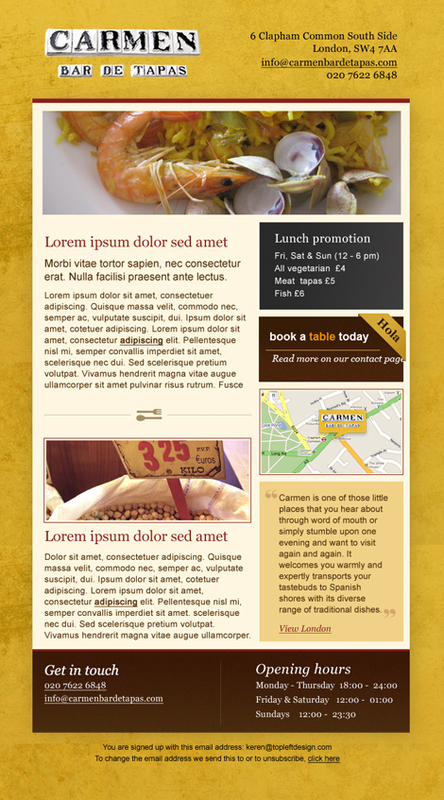 Visuals are always the first thing people see before they start to read your newsletter, a good image/s and good graphics will always catch someones eye and should convey what your newsletters about. Remember always make sure your images are relevant to what your talking about. Don’t just talk about absolutely anything, its important that your newsletter is all about your business, subjects related to your business and the people in your business. Your newsletter can be personal, light hearted and you should always bring it back to what you do – afterall people signed up to your newsletter because there interesting in hearing about what your companies up to! 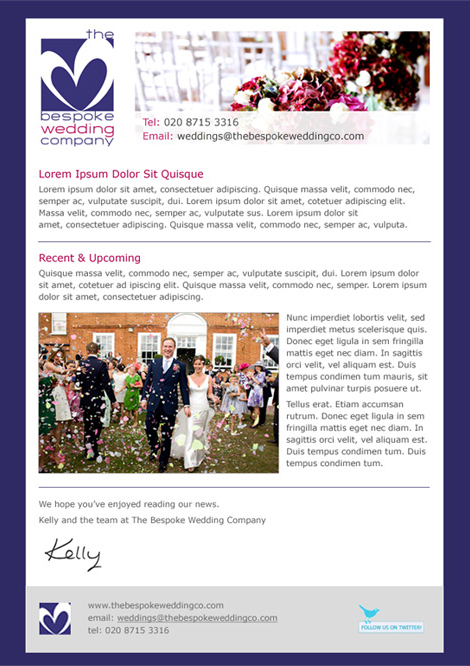 As well as sharing interesting information your newsletter is also the perfect platform to encourage people to do something, be it signing up for an event with a discount or simply directing them to view the latest work on your website. Always encourage and direct people to get involved with what you do. What are social media profiles for – networking and communicating of course! If you’re involved with social media make sure you let people know, always include links to your social media profiles in your newsletter, you’ll be surprised at the amount of people which will regularly click on these and follow what you’re up to. 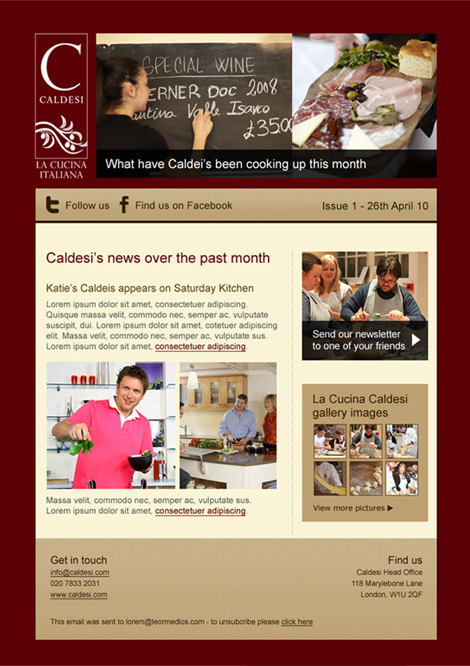 Have a look at all our newsletters by visiting this page or clicking below. As you may have gathered, we can also help with the planning, design and sending of your newsletter – it’s one of the things we do here at TLD! Thanks Keren for these helpful tips. I can already see where I can improve on my monthly newsletter. 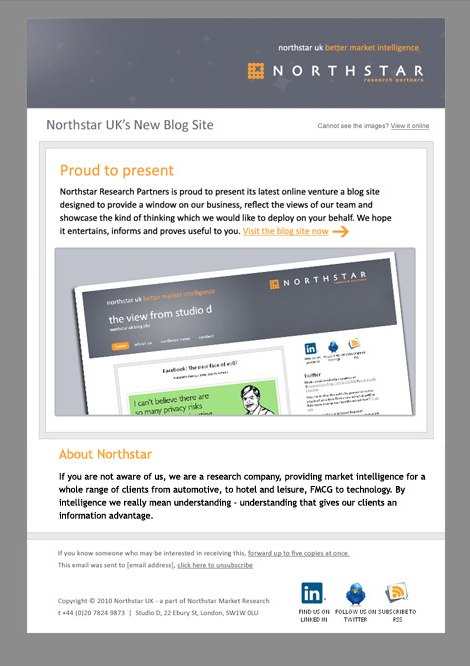 Wow Keren – some of these newsletters are seriously eye-catching. Thank you for this timely reminder. I’m just about to send out my next newsletter so I will check all 5 points!